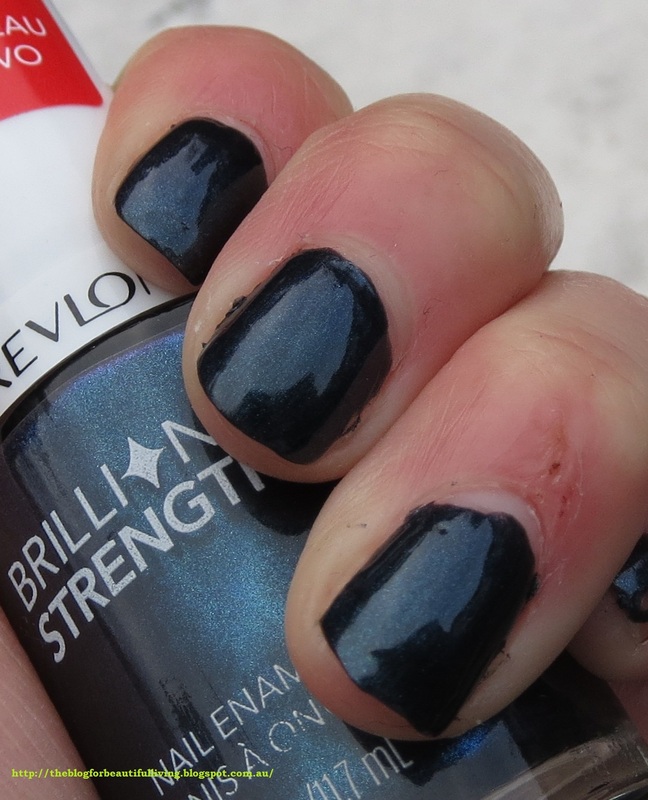 Hi guys, today I have Revlon's Beguile to show you. It is the first polish I have ever tried from their 'Brilliant Strength' series however I must confess that I did still use my usual base coat and top coat in these photos. Normally I don't put a topcoat on my nails before taking photos but you have to change things up sometimes, don't you? Beguile is a beautiful navy blue nail polish with an absolutely stunning teal and blue shimmer to it that makes it seem like it glows from within. The first coat of polish was a little streaky but after two thin coats this polish is ready to go. Drying time is reasonable and the formula is easy to work with however it is important to make sure you don't have too much on the brush. If you do you could end up with a massive blob landing on your nail (talking from experience here...). 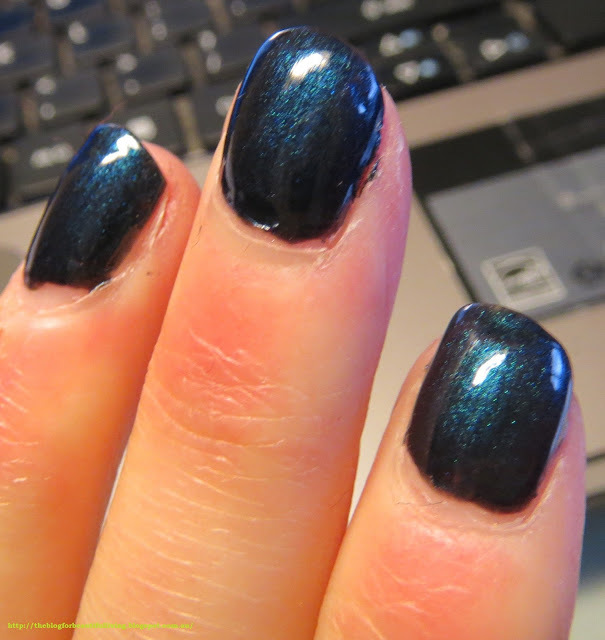 I wore Revlon's quick drying top coat over this which added depth to the polish and made it even shinier. I'm kind of like a pigeon, I love shiny polish! It lasted around two days before it started to chip from the tips however that could be because my nails are peeling and quite weak at the moment. I absolutely love the shimmer in this polish, it is really stunning especially how in some lights there is a shift of teal in shimmer. It is a very wearable colour and the way that it glows from within makes this polish a polish I definitely recommend buying. This polish was annoyingly difficult to photograph, especially on an overcast and rainy day. I'll give it another shot when the sun decided to shine...Maybe try clicking on the images to enlarge them? GAH!! !